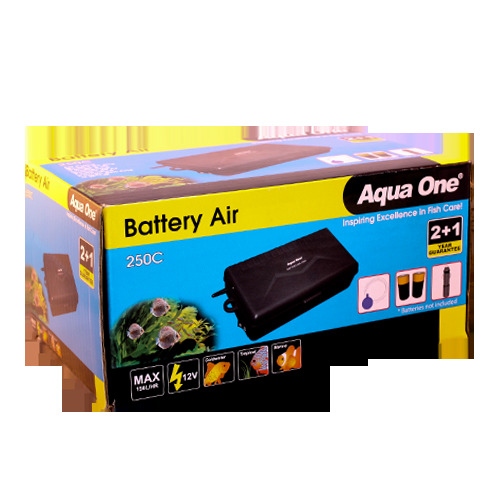 The Aqua One 250C Air Pump is the perfect companion for any fisherman or aquarium hobbiest. 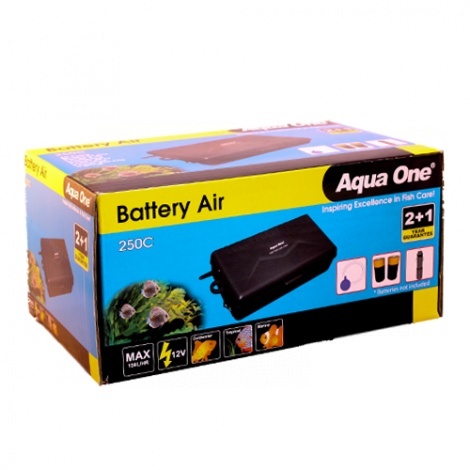 In the event of a power outage, or simply just travelling with your aquarium inhabitants, you can be assured that your fish will travel less stressed by aerating their water with this portable device which is able to be operated by the car cigarette lighter. Pushing a nice 150L/H and coming complete with an air stone, tubing and instructions, this is an essential piece of equipment for all avid fish keepers.